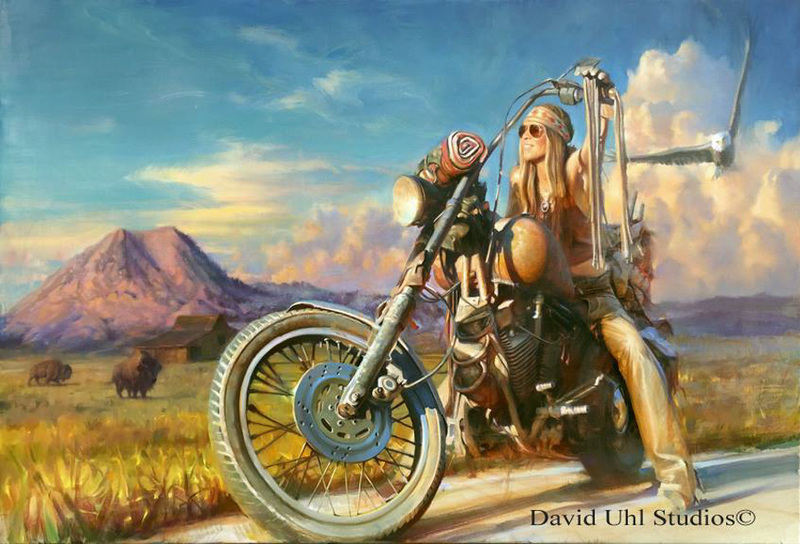 Awesome motorcycle illustrations featuring ladies who ride by renowned artist Samuel Lee Turner. 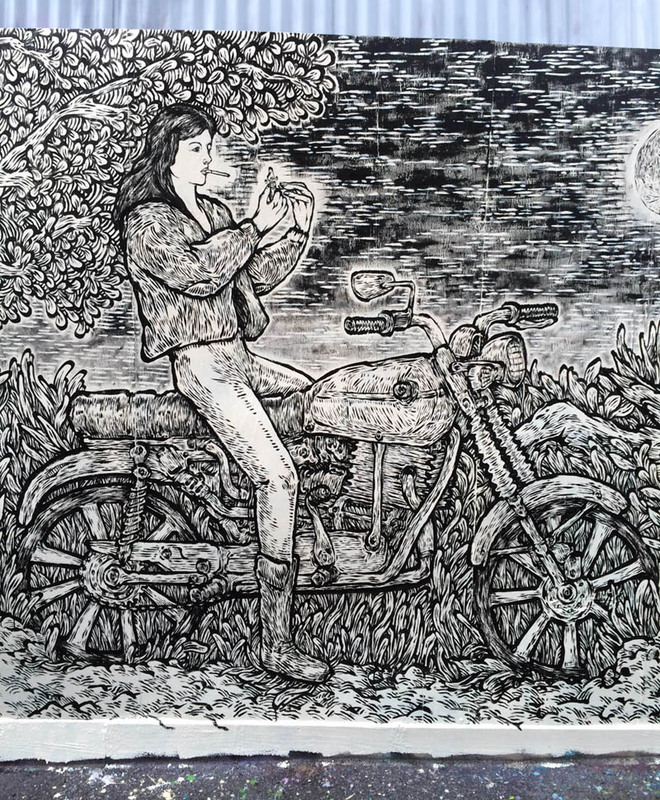 Using just a small paintbrush and black acrylic paint, Australian artist Shawn Lu creates a large mural over three days, featuring a woman motorcyclist called “The Biker”. 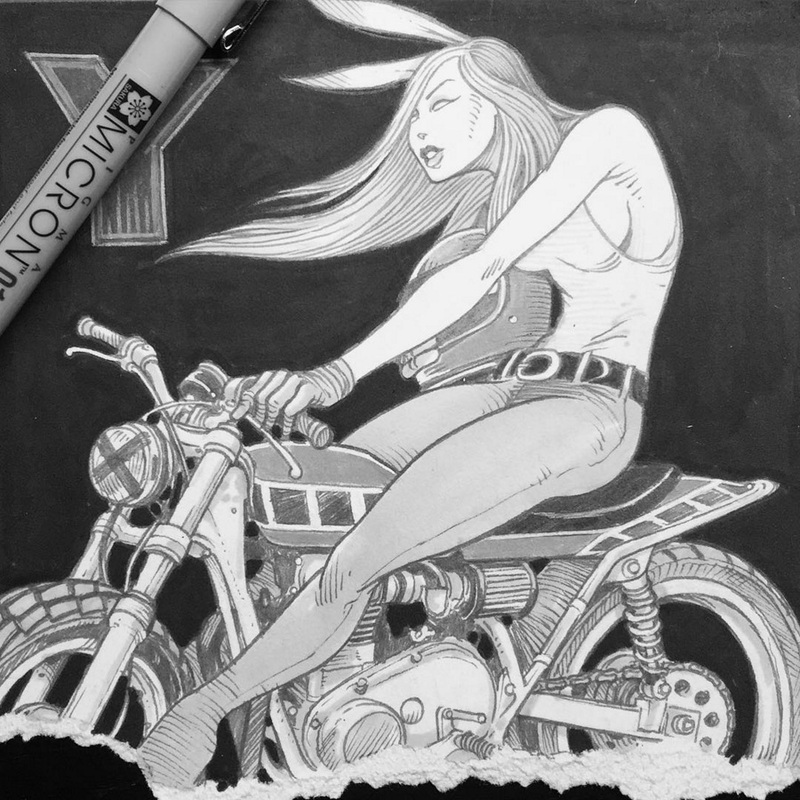 Los Angeles toy designer and artist Viet Nguyen’s awesome motorcycle art featuring striking women. 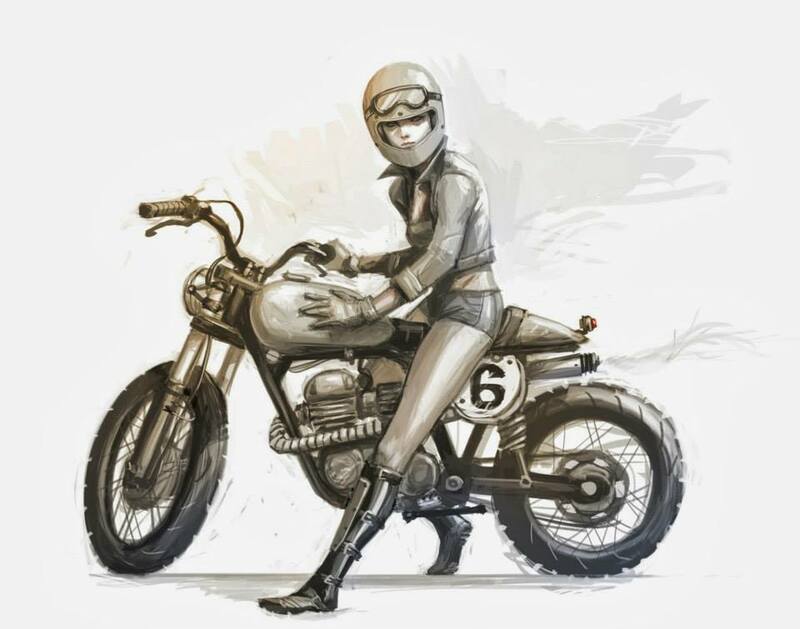 Brett Breckon’s beautifully detailed artwork featuring women and motorcycles in a classic style. 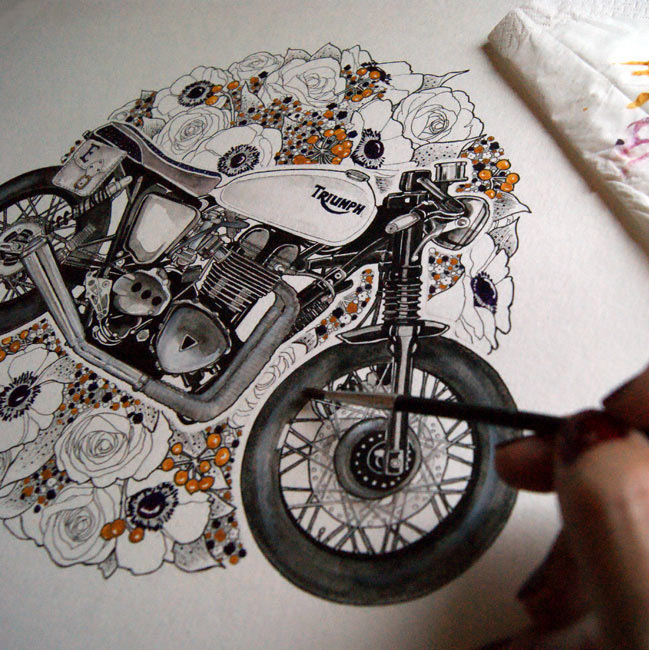 Sophie Varela’s motorcycle illustrations are badass and elegant at the same time, featuring super detailed custom motorcycles. 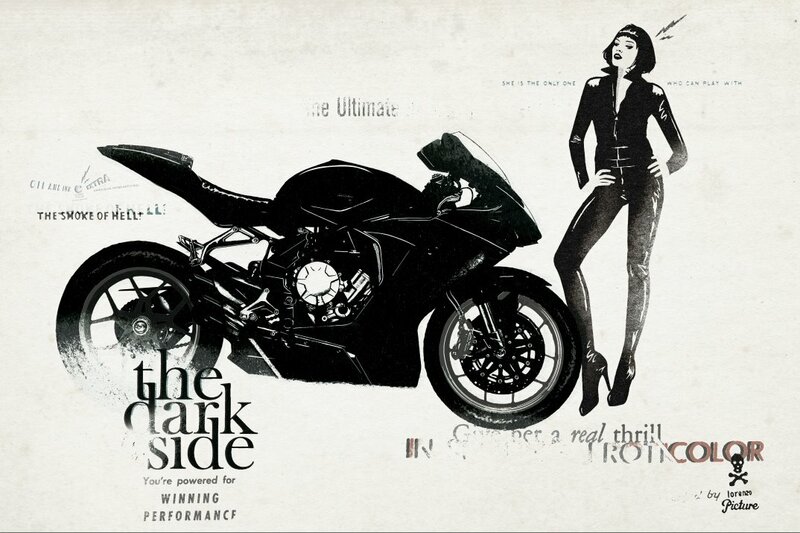 In this illustration called ‘The Dark Side’ by Lorenzo Eroticolor, a sultry lady takes in the Italian beauty of an MV Agusta. A perfect juxtaposition between the woman’s body and sensuality of Ducati motorcycles, Elizabeth Raab captures fine art pin-up photographs featuring some of Ducatis most popular and rare bikes. 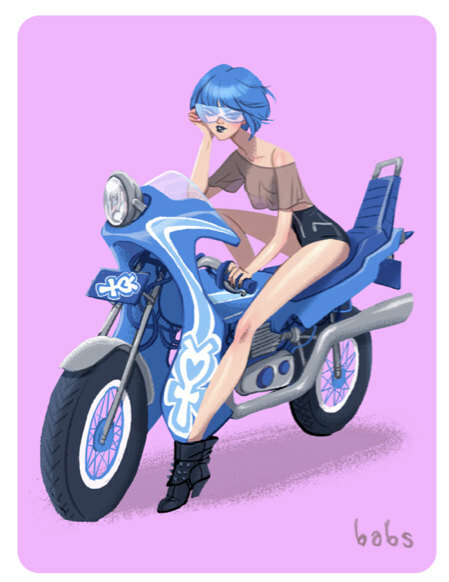 The very cool Bosozoku Sailor Moon girls by artist Babs Tarr. Four individual characters separately, and in one main art piece. 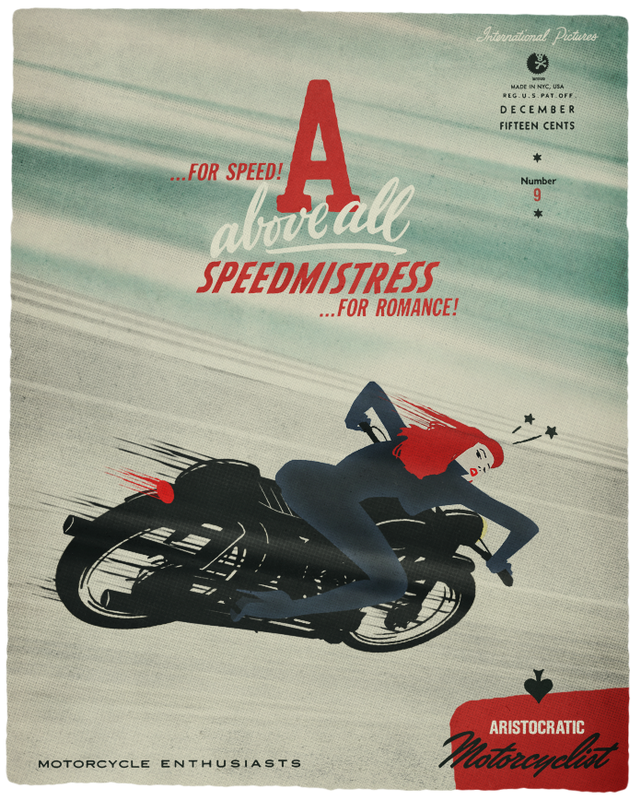 Lorenzo “Eroticolor” is a French artist who creates beautiful, classic posters under the name “Aristocratic Motorcyclist”.